In 2016, MarkMonitor worked with Europol on Operation “In Our Sites” Seven (IOS VII)’. The operation focused on tackling counterfeit websites selling luxury goods, sportswear, spare parts, electronics, pharmaceuticals, toiletries and other fake products, as well as piracy sites. 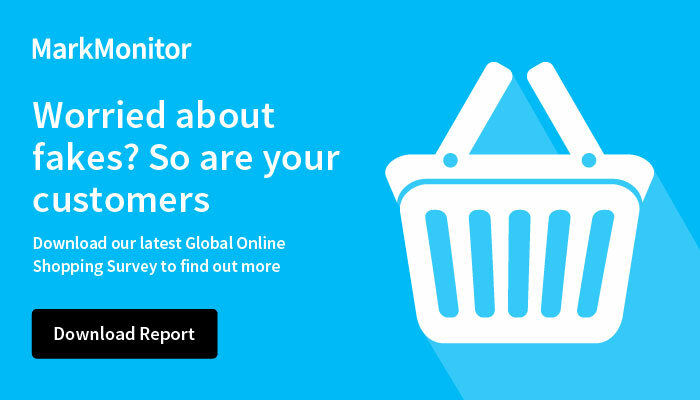 MarkMonitor first supported the program last year where they were able to remove over 230 sites selling counterfeit merchandise online for clients. The sites in question were in countries, which had varying levels of intellectual property protection in place to protect brands online, making it more difficult to use standard enforcement options normally available. Nancy Merritt, manager, global relationships for MarkMonitor, says: “We’ve forged close ties working with our partners in law enforcement to help clamp down the level of online counterfeiting, and our involvement in IOS VII supported this. A large number of fraudulent websites have been shut down as a result. More broadly, this highlighted the importance of coordination of both online and offline approaches to brand protection. “Europol's role in operation In Our Sites involves organising, coordinating, exchanging and subsequently analysing data among participating countries, and liaising with rights holders from the private sector. Cooperation with private industry remains crucial and is key to monitoring and reporting IP-infringing websites to the concerned countries via Europol, to ultimately make the Internet a safer place for consumers” said Chris Vansteenkiste, IPC3 manager at Europol. Fighting the trade of counterfeit products online is a challenging and difficult task for law enforcement agencies to conduct on their own, which is why operations such as IOS VII are conducted on a regular basis in conjunction with private, third-party businesses including MarkMonitor, who are one of the larger partners involved in the program. To read more on the initiative click here. MarkMonitor, a leading enterprise brand protection solution and a Clarivate Analytics flagship brand, provides advanced technology and expertise that protects the revenues and reputations of the world's leading brands. In the digital world, brands face new risks due to the Web's anonymity, global reach and shifting consumption patterns for digital content, goods and services. Customers choose MarkMonitor for its unique combination of advanced technology, comprehensive protection and extensive industry relationships to address their brand infringement risks and preserve their marketing investments, revenues and customer trust. For more information, www.markmonitor.com. Clarivate Analytics accelerates the pace of innovation by providing trusted insights and analytics to customers around the world, enabling them to discover, protect and commercialize new ideas faster. Formerly the Intellectual Property and Science business of Thomson Reuters, we own and operate a collection of leading subscription-based services focused on scientific and academic research, patent analytics and regulatory standards, pharmaceutical and biotech intelligence, trademark protection, domain names, brand protection and intellectual property management. Clarivate Analytics is now an independent company with over 4,000 employees, operating in more than 100 countries and owns well-known brands that include Web of Science, Cortellis, Thomson Innovation, Derwent World Patents Index, CompuMark, MarkMonitor and Techstreet, among others. For more information, visit clarivate.com. ® 2018 MarkMonitor Inc. All rights reserved. MarkMonitor is a registered trademark of MarkMonitor Inc., a brand of Clarivate Analytics. All other trademarks included herein are the property of their respective owners.